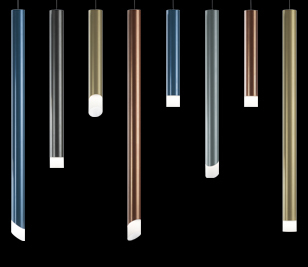 Hacel Lighting Ltd design and manufacture lighting products to a very high standard and as such offer a 5-year warranty (T&C apply) against manufacturing defects commencing from date of sale. The warranty covers all mechanical and electrical components within the Hacel branded LED product with the exception of batteries which are subject to a 1-year warranty. 2.1 The Hacel LED product has been installed and maintained where necessary by a suitably qualified electrician in accordance with the relevant IEE regulations and/or specific requirement at time of installation. 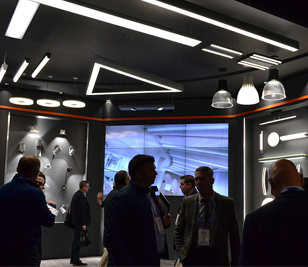 2.2 The Hacel LED product has been installed in accordance with the relevant installation document provided and adheres to any voltage, thermal, IP, ventilation tolerance recommendations. 2.3 Hacel reserve the right to negate any warranty claim if a product has been subject to modification without written Factory approval, opened, tampered with or damaged in any way. 2.4 Warranty commences from date of sale and is for a term of up to 5 years (T&C apply) as described in Section 3 and 4. 2.5 Repairs, refurbishment or replacement of product or component(s) during the warranty period does not constitute an extension of the warranty beyond the original date of sale agreement. 2.6 Warranties are specific to each contract and are not transferable to a third party. 2.7 Hacel will not accept liability for any losses, costs or claims, directly or indirectly, that may arise from non-manufacturing defects. 2.8 All warranty claims made by the client must be emailed to Hacel at cservemail@hacel.co.uk prior to returning for repair, refurbishment or replacement to the defective product or commencement of any remedial action on site. 2.9 All warranty claims approved by Hacel will be confirmed via email with details and costs, where applicable, of work or actions to be carried out. 2.10 Hacel reserve the right to repair, refurbish or replace any defective product with a product of a similar like for like function and performance if the original product or components that are essential to the manufacture of the product are no longer available. During years 1 and 2, Hacel LED Products are covered with a comprehensive 24-month (from date of sale) warranty for any defects that may occur under correct use and installations as described in the General Warranty Conditions. During this period Hacel, at our discretion, reserve the right to repair/refurbish/replace, on site, at our cost, any product defect reported by the client in writing, and agreed by the company that can verifiably be shown to be due to a manufacturing fault. During years 3, 4 and 5 (from date of sale) Hacel LED products are covered with a limited liability warranty for any defects that may occur under correct use and installation as described in the General Warranty Conditions. During this period Hacel will repair, on a return to factory basis, any product defect that can verifiably be shown to be due to a manufacturing fault. It is the clients’ responsibility to ensure the returned product(s) are adequately packed to ensure safe transit. The repaired product(s) will be returned to the client at Hacel’s cost. These warranty conditions relate exclusively to issues beyond the normal technical luminous flux reductions that led products experience over their life. Note that technical advances and technology advancements may mean that replacement or additional led modules may exhibit different photometric properties/ colour variance to older units. Latest Hacel news, live social feeds and relevant lighting updates. 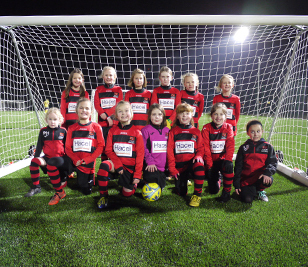 Hacel proudly sponsors Wymondham Town United Football Club girls under 9 team. 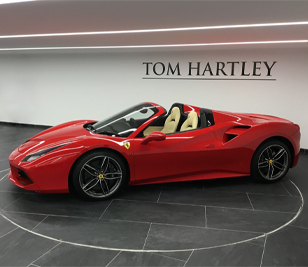 Hacel were in the driving seat to provide exclusive LED luminaires for Tom Hartley luxury and performance car showroom.